Difficulty: Easy. However can be harder during summer due to speed boats. 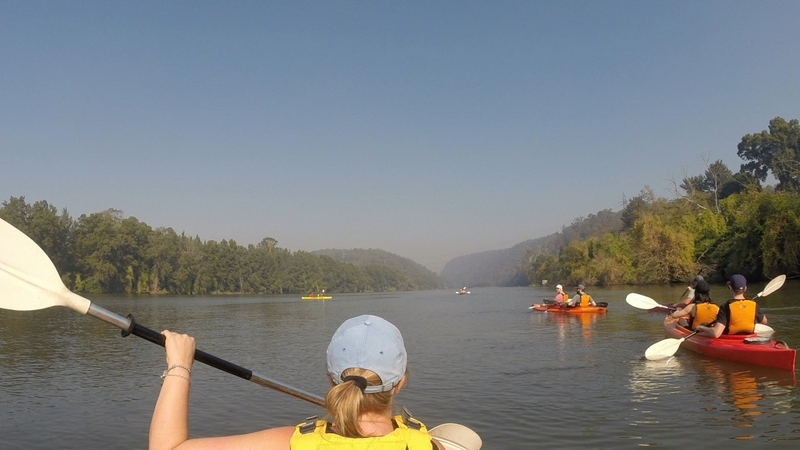 Kayaking on the Nepean river beat all my expectations. 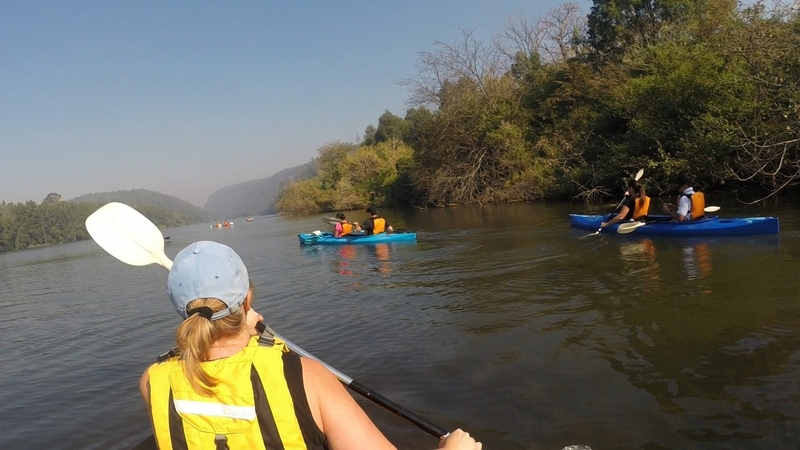 Paddling through the Nepean gorge was an amazing experience. 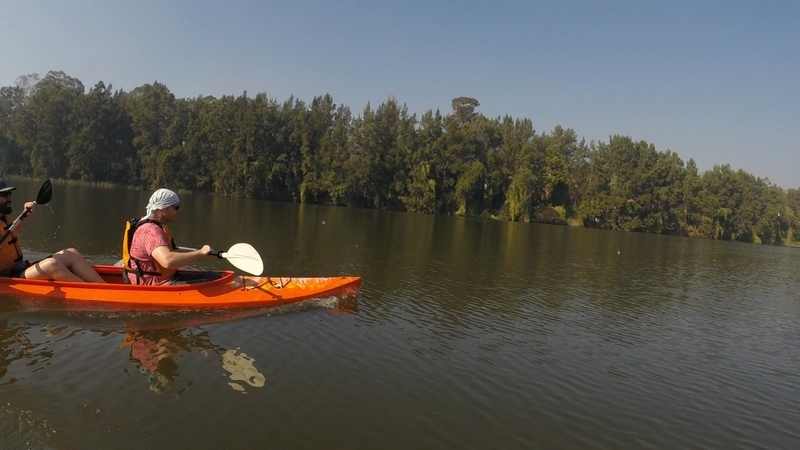 I started my kayaking adventure down the Nepean River early to try an minimise the jet skis. Just 15 minutes into the trip and you feel like your in wilderness. I had the place to myself. 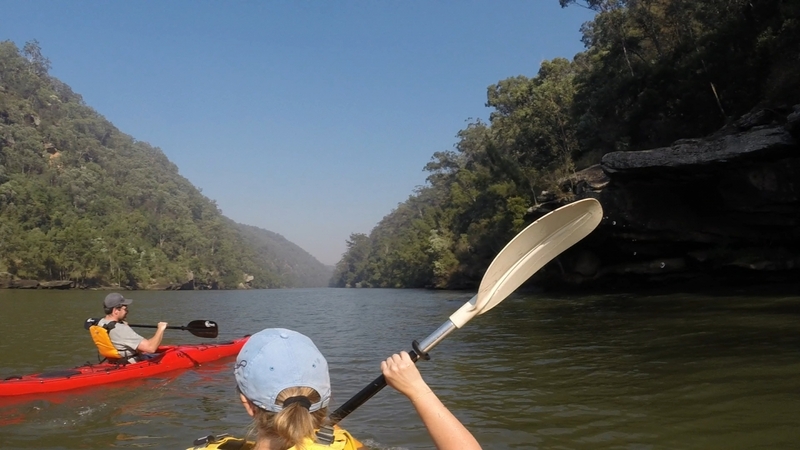 I kayaked for 2 hours, 15 km’s until I reached the Nepean River and Warragamba River junction. 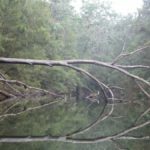 I went down the Nepean River path until I hit a boulder garden. 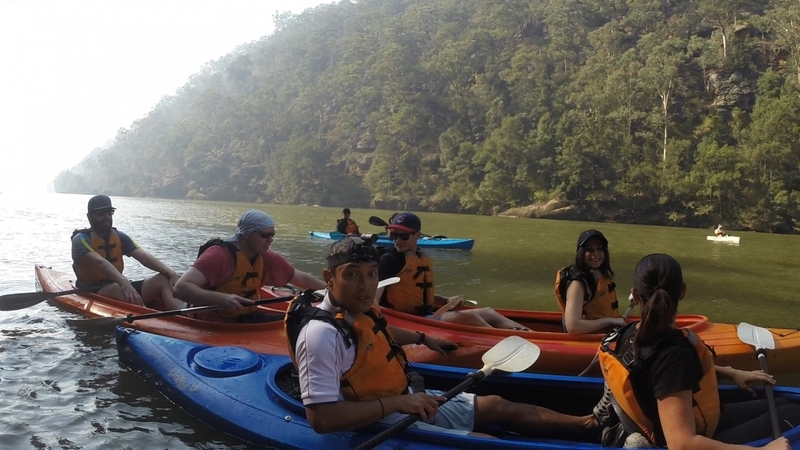 This place Warragamba Park was something else and worth a look. There were small rapid’s which could get a bit bigger after a heavy down poor of rain. 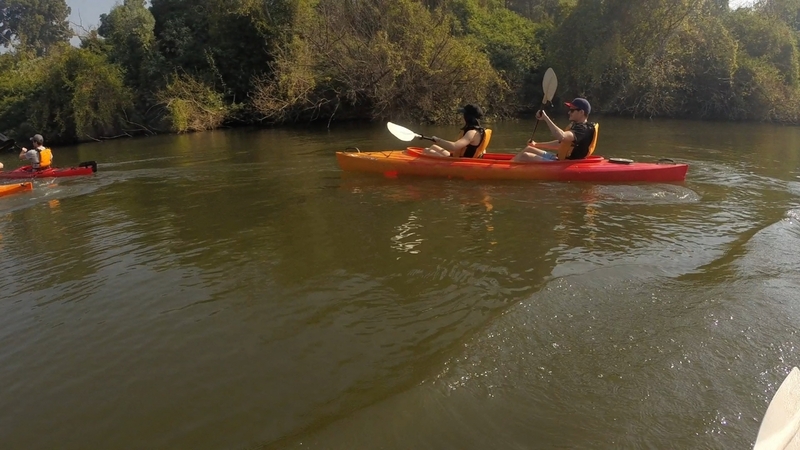 I tried to see if there was a way to get the kayak around the boulders. 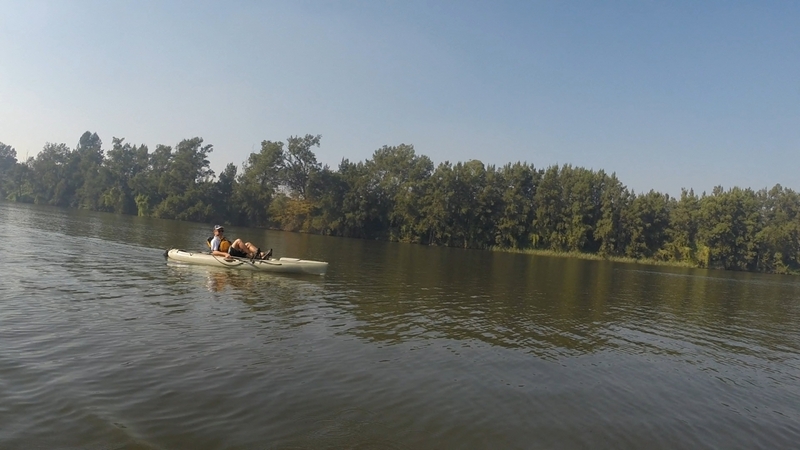 It appeared to be a bit of effort and after 2 hours of kayaking I didn’t really feel like doing that. 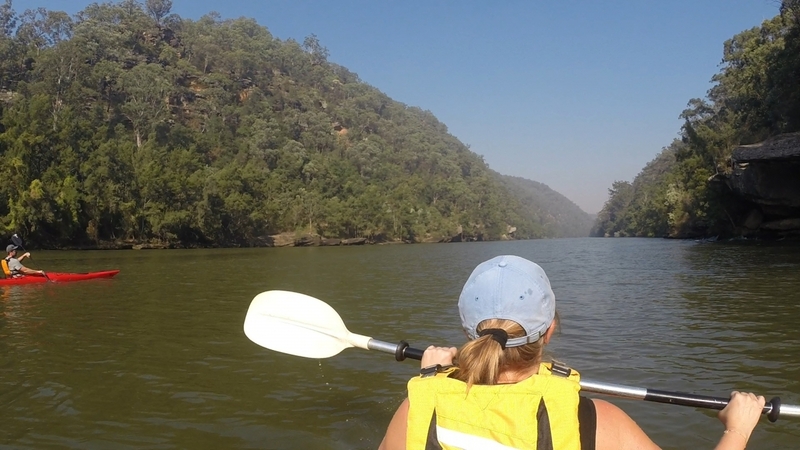 I should have done a bit more research before I left because I didn’t release how close I was to Warragamba Dam. 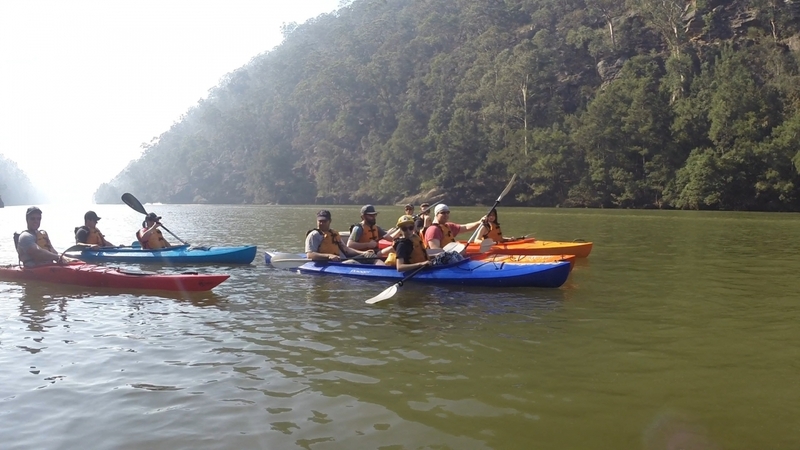 I read some articles that said it was 25 km’s from Tench reserve to Warragamba Dam. So I though I had no chance of getting near it. 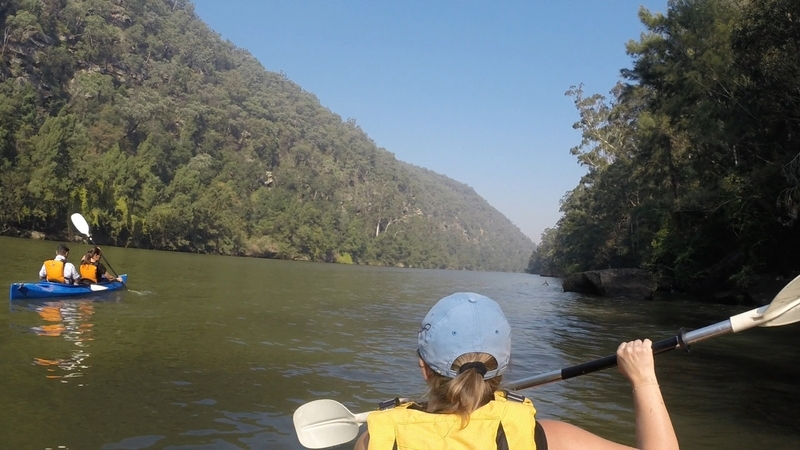 Looking at the map below I only had a few more km’s to go before I could see the Warragamba wall. 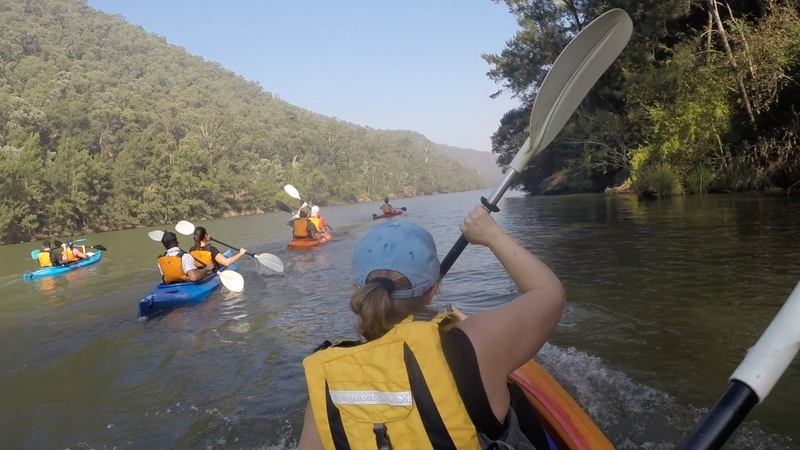 I also should have gone down Warragamba River. Anyway I’ll leave that till next time. On the way back was a different story as far as having the place to myself goes. There were powered graft all over the shop. 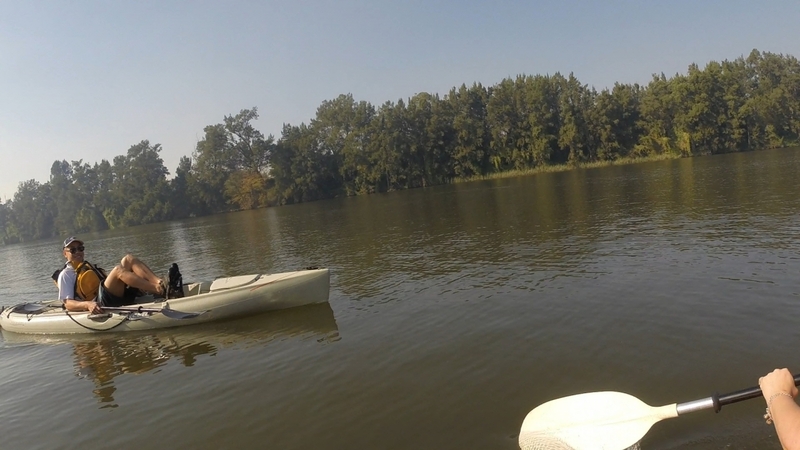 Water skiers, jet ski’s, etc. 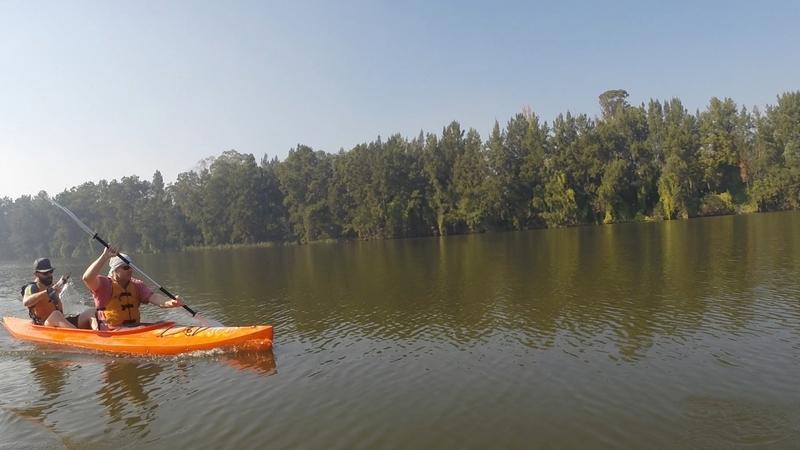 And why not the Nepean River is an awesome spot. 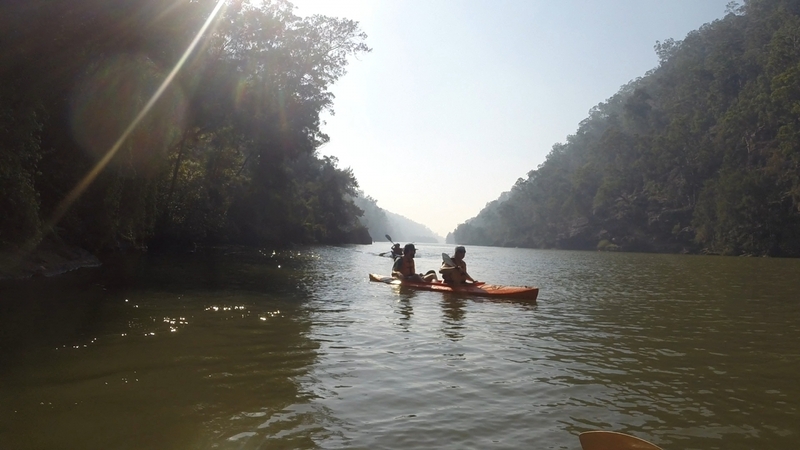 Though it did wreck the tranquility of the environment for kayaking and canoeing. 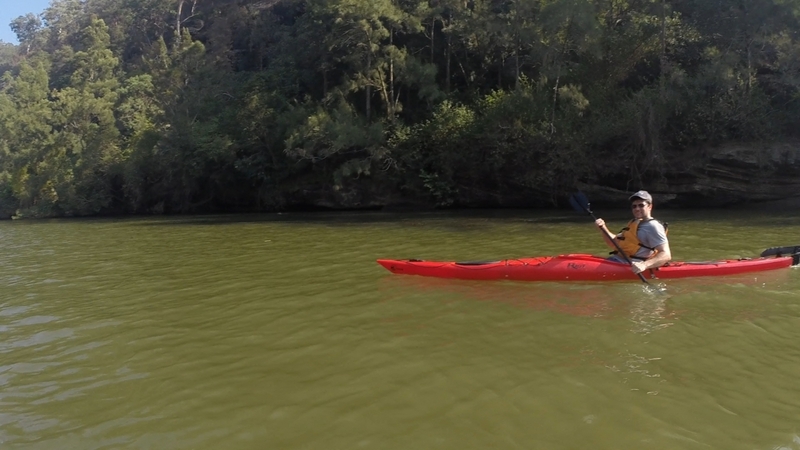 When I kayak the Nepean river again it will be in the colder months to minimize the traffic on the river. 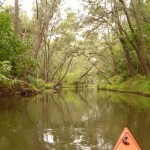 Directions for Kayaking on the Nepean River. 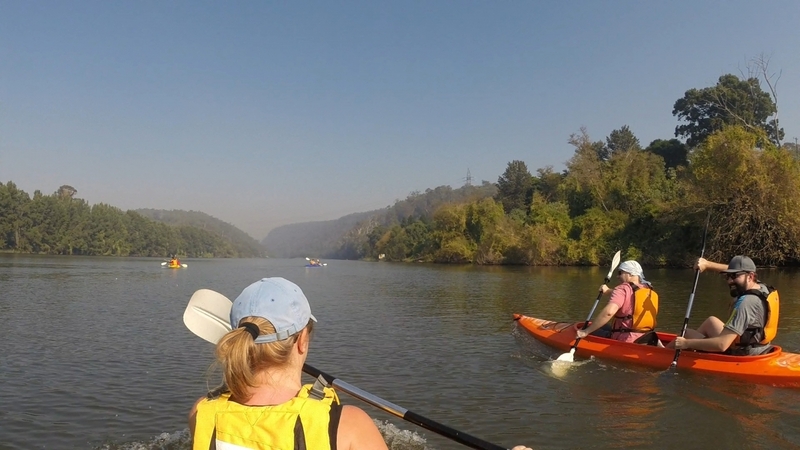 You can launch from either the East or West side of the Nepean River. 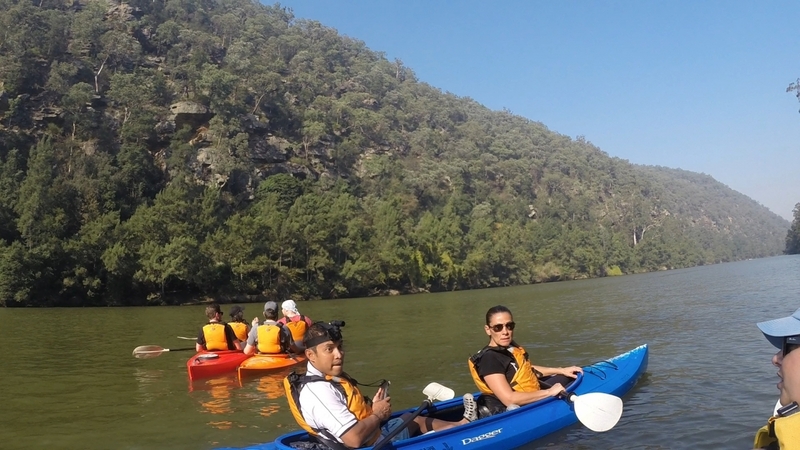 On the East side launch from Tench reserve, Jamison Road , Jamisontown. 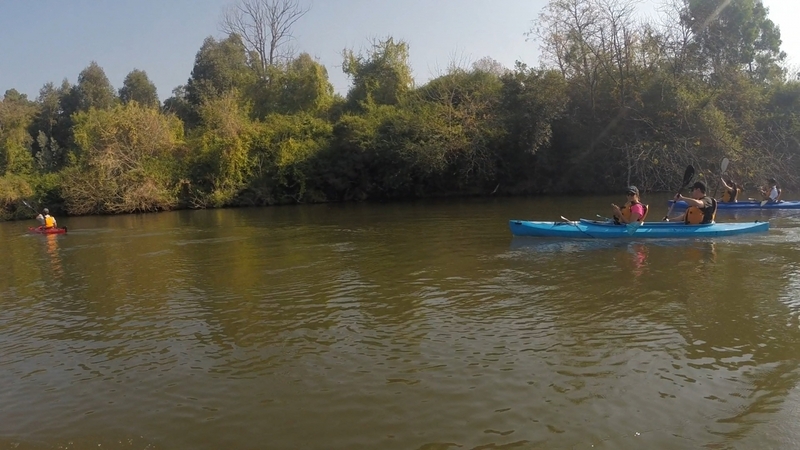 There’s a great little spot to drop in your kayak. 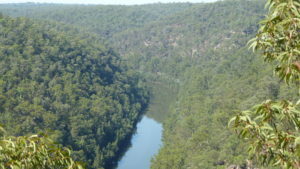 A platform with a step leading into the Nepean River. It’s hidden behind some bushes just down from the boat ramp. 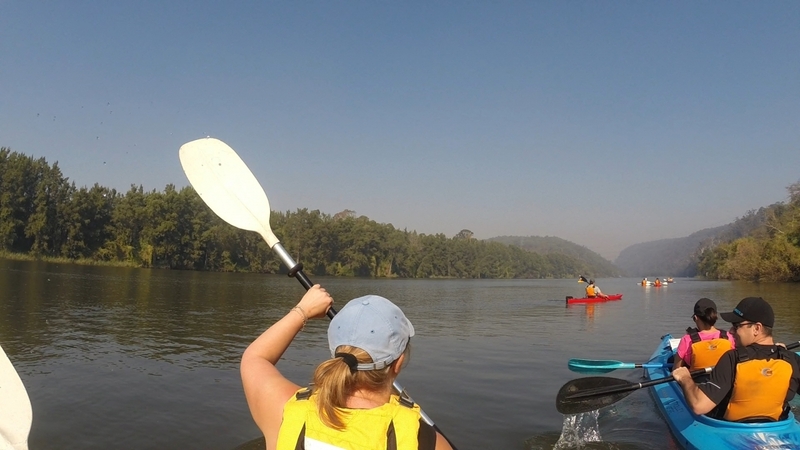 On the West side will get you closer to Nepean Gorge. 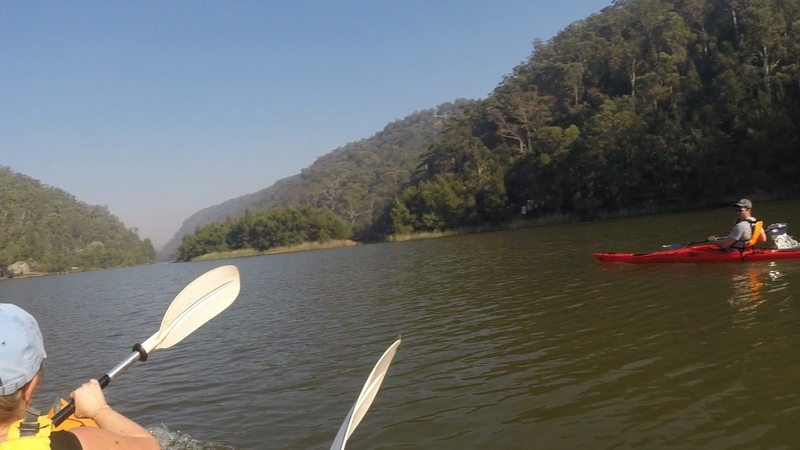 The best spot I came across was opposite 181 River road, Leonay. 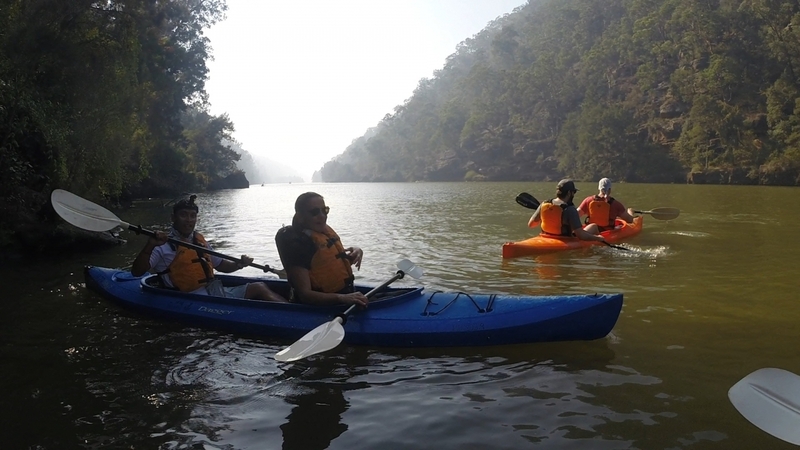 Renting Kayak’s on the Nepean River. We had a group of 16 going and Horizon Online were excellent. 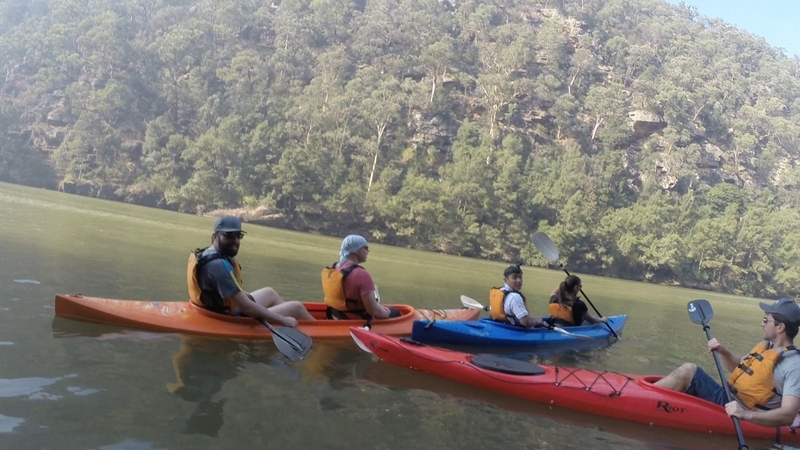 The communication was spot on and they gave us plenty of information about the river. 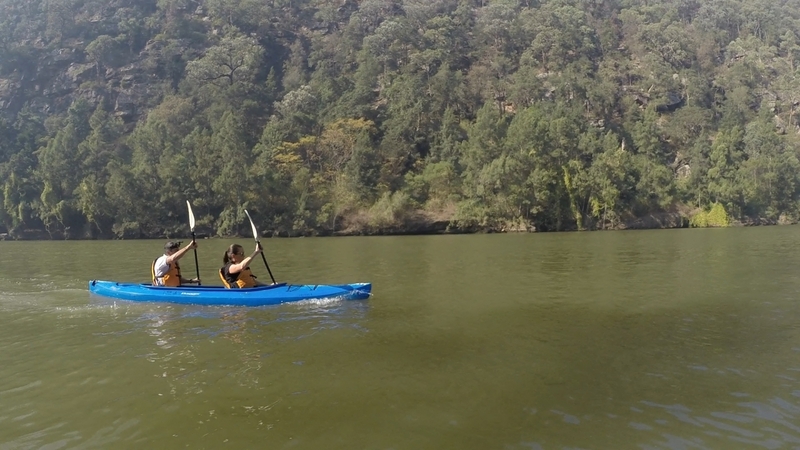 They also let us borrow their trailer to transport the kayaks as close to Nepean Gorge as possible. At the time of writing this the hire cost per day was $60 for a single and $75 for a double which is excellent value. 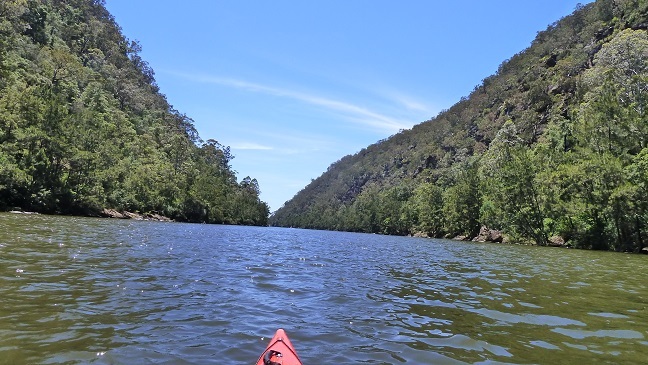 More Sections of the Nepean River. Where: Launch at Douglas Park Drive. Difficulty: Easy. Nice and flat. 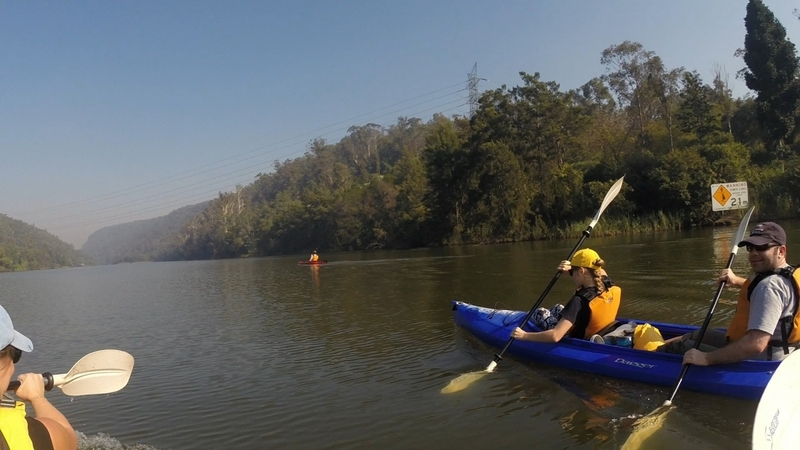 Nepean River Kayak. 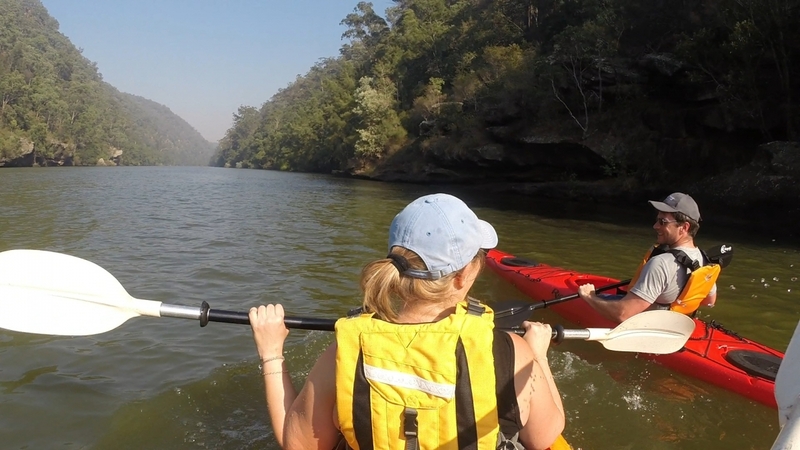 Kayaking on the Nepean river beat all my expectations. 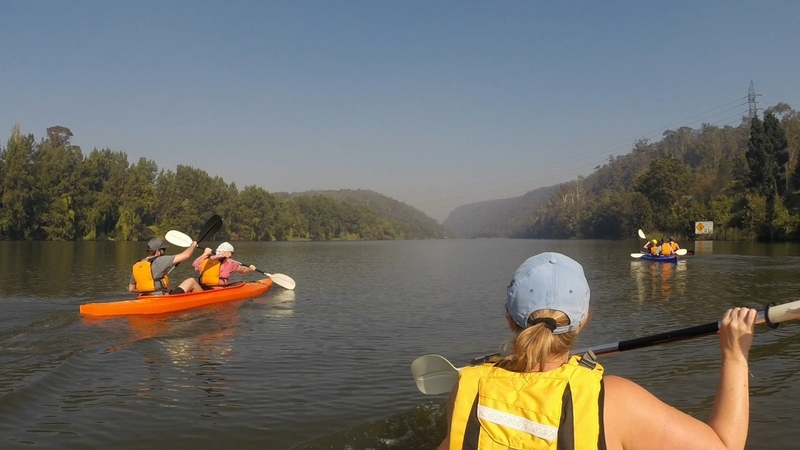 Paddling through the gorges was an amazing experience. 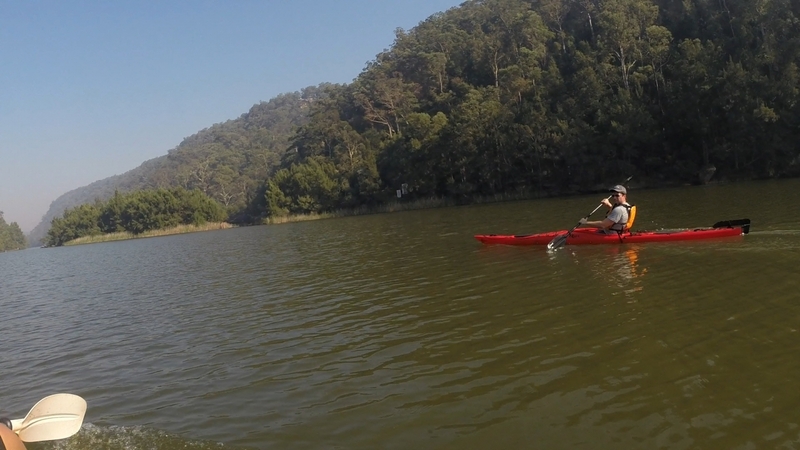 I started my kayak adventure down the Nepean River early. Just 15 minutes into the trip and you feel like your in wilderness. I had the place to myself. 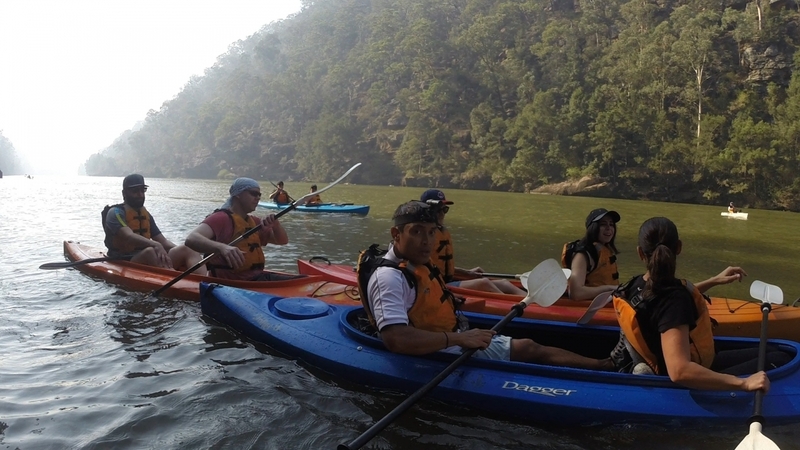 I kayaked for 2 hours, 15 km’s until I reached the Nepean River and Warragamba River junction. 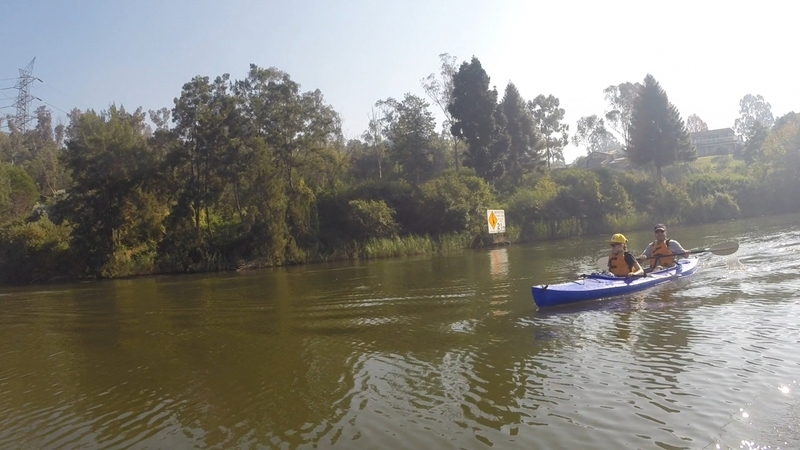 Nepean River Kayaking youtube Clip. 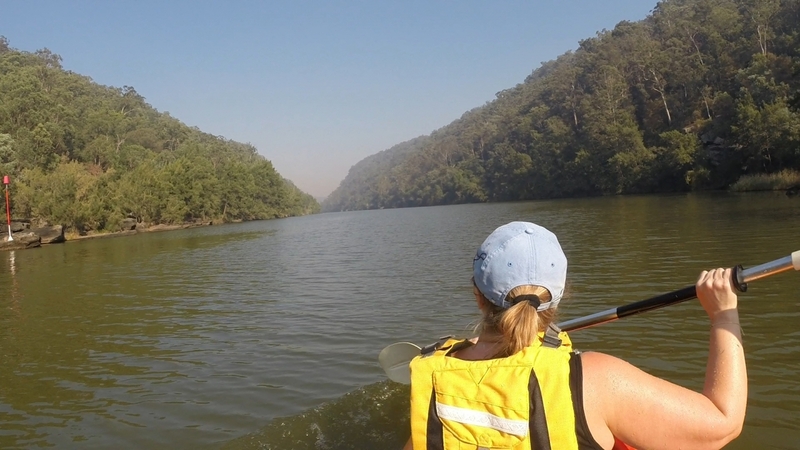 Directions to Nepean River for a Kayak. Google Map Link. East side. Google Map Link. West side.